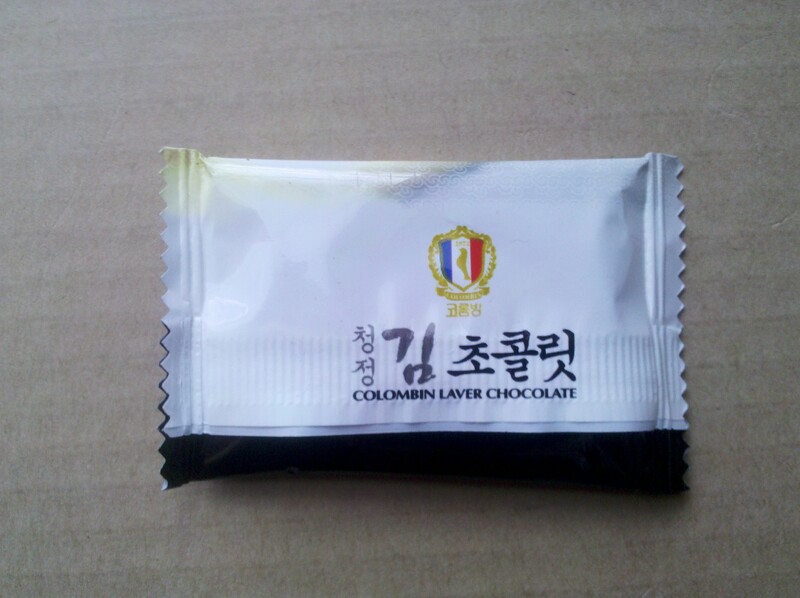 Since I couldn’t buy a box of the kimchi chocolates, I bought a box of Korean seaweed chocolate instead. I gave away this box as a gift but the recipient kindly shared a piece with me! I’ve finally gotten around to tasting it today. These are clearly marketed toward Japanese tourists because it says “nori” in Japanese on the right hand side of the box. 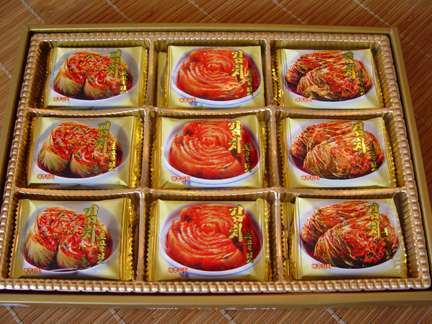 The package even looks like mini seaweed packages! Which one sounds more appetizing? Do you see the specks of seaweed? 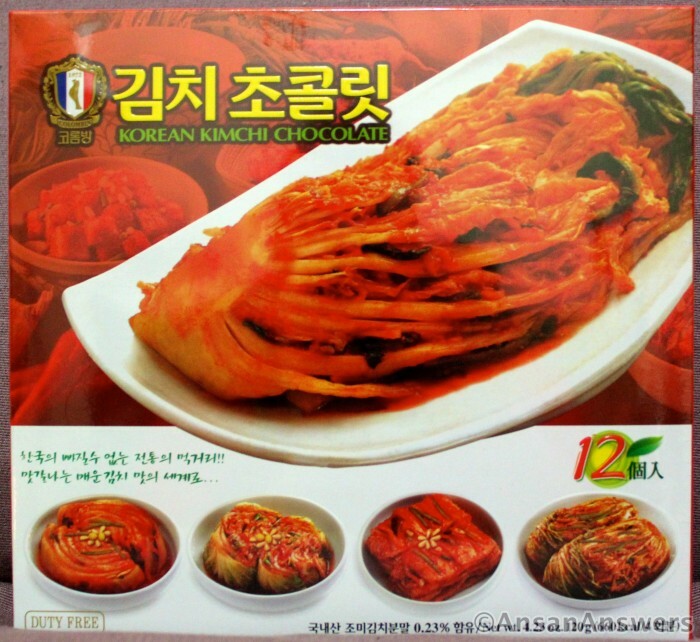 Phase 1: Your mouth is covered in a thin film of milk chocolate which masks the flavor of the seaweed. 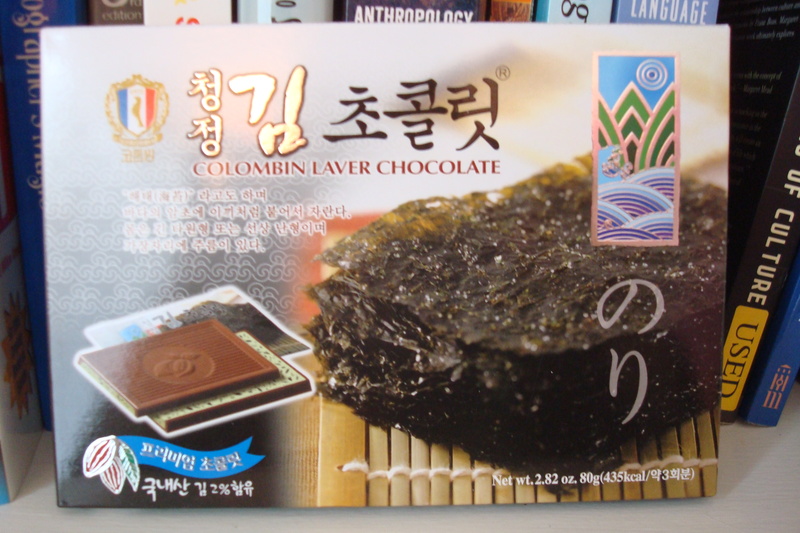 Phase 2: Once the chocolate melts, then you get hints of the seaweed from the greenish filling. It’s very subtle. 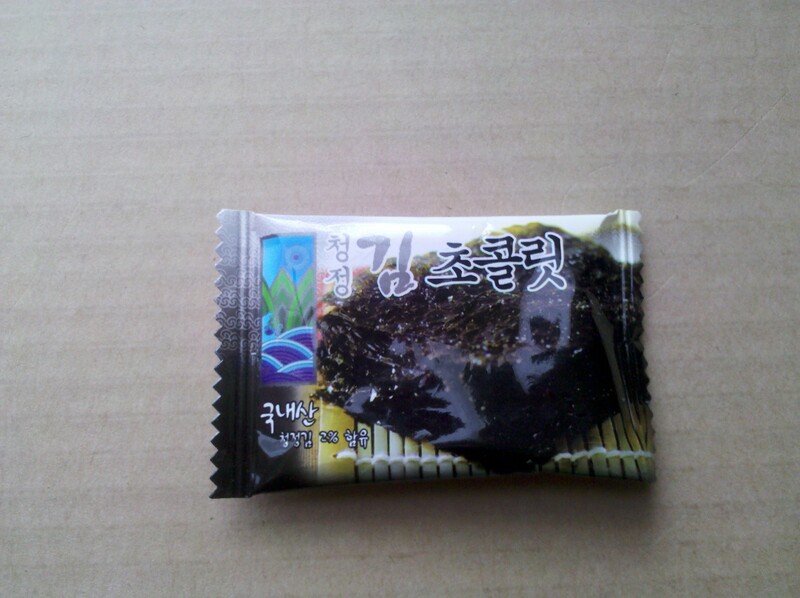 Phase 3: As the seaweed filling dissolves, you are left with tiny bits of real seaweed. 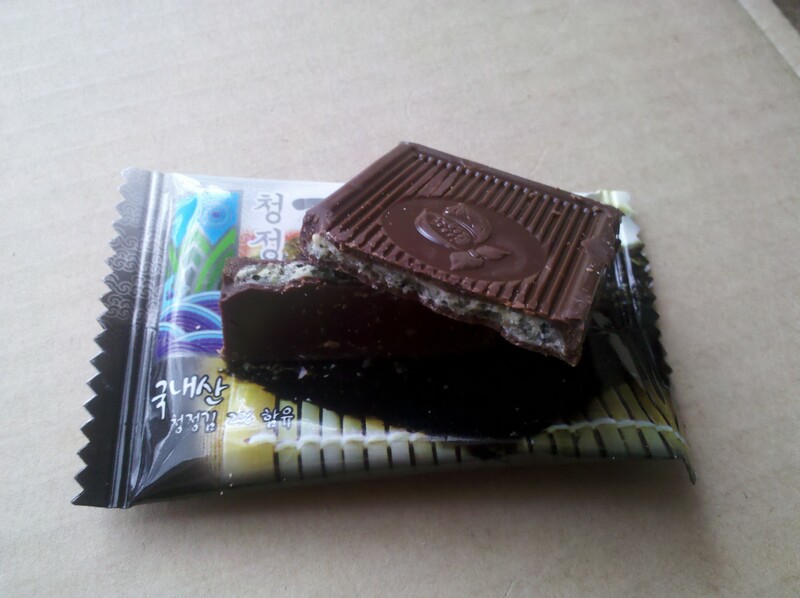 I really enjoyed the last phase but it made me forget that I just had it with chocolate. I didn’t think this combo would work but I’m pleasantly surprised by it being both novel and comforting at the same time. Now I’m craving a steaming bowl of freshly steamed rice and salty seaweed.